When Physical Therapists document the progress of a patient, it’s common to see medical abbreviations within the notes. For example, the Physical Therapy abbreviation SBA (stand by assist) or CGA (contact guard assist) are common PT medical abbreviations. But sometimes our abbreviations can get a little confusing! As a Physical Therapist, I have to be careful with the pt medical abbreviation because lowercase pt should mean patient, while upper case PT refers to Physical Therapist. 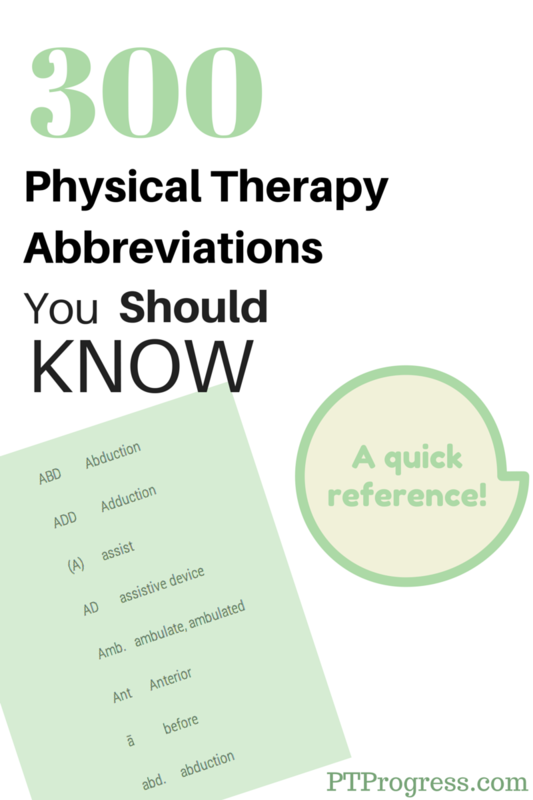 While the APTA does not endorse a standard set of physical therapy abbreviations (maybe it should…) you can find plenty of resources that share common words that are shortened by PTs. This list is not all-inclusive or a ‘standard’ but it gives you an idea of what is commonly being used. For student PT’s who are just starting in the clinic, it’s great to review this list in case you run into some language in the documentation that you’re not familiar seeing. When I finally learned how to document correctly, it saved me about 30 to 60 minutes a day. These well-crafted documentation phrases save you time by providing you with inspiration on how to phrase the skill you provide to your patients. 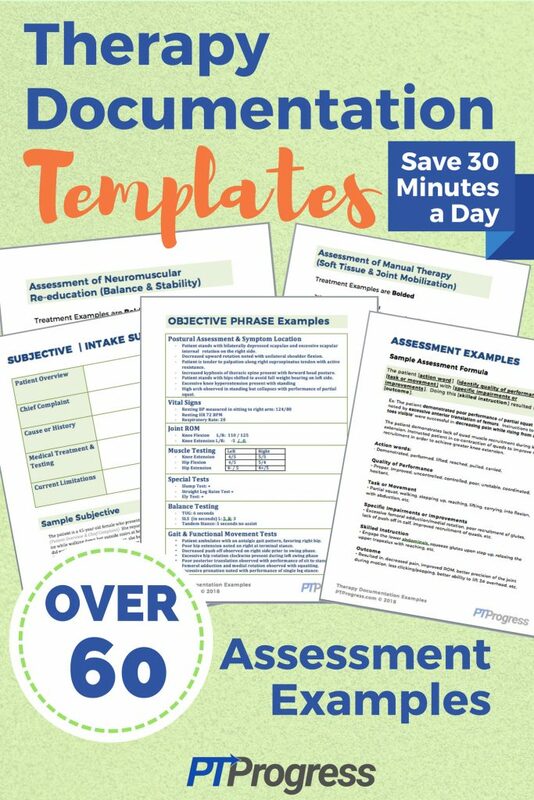 You can copy and paste directly from the documentation PDF, and modify the phrases to fit your documentation style and to reflect the skilled treatment you’ve provided. Do you see any common abbreviations that have been left out? Let us know in the comments and we’ll add them. Thanks For Visiting! Curious how I make money with blogs? 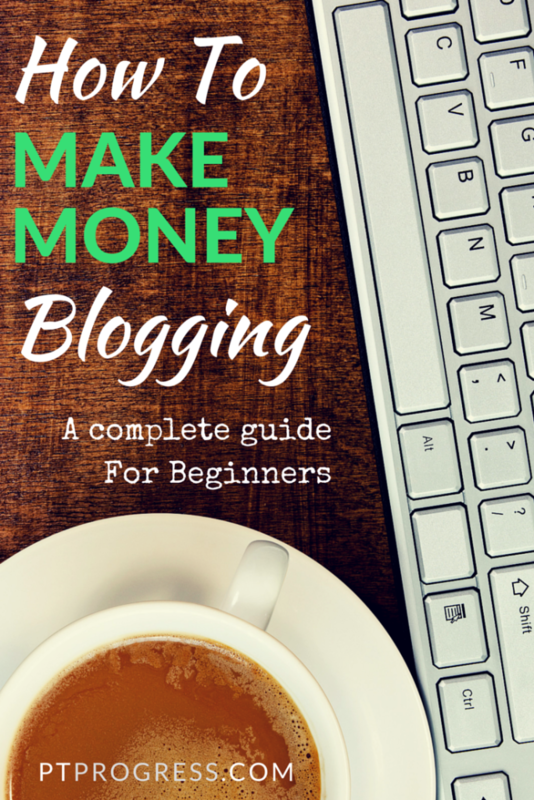 Check out our latest post: How to Make Money With Blogs for Beginners.